The legend, the outlaw. 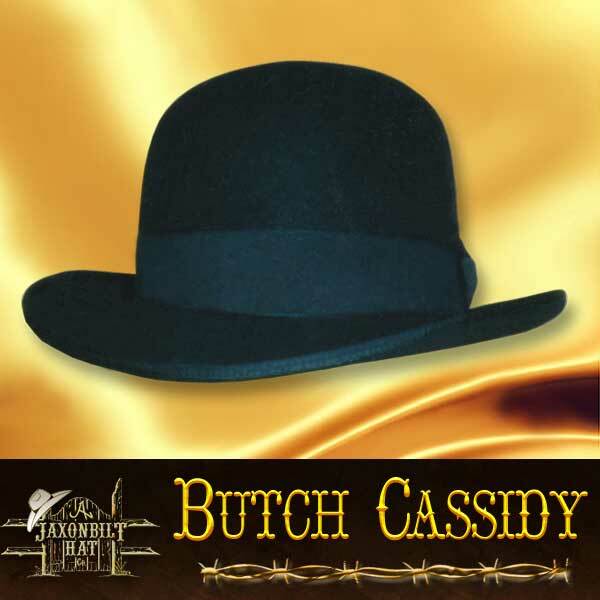 Long before Butch Cassidy became the famous named outlaw, he once entertained visitors on the Two Bar Ranch, with his fancy pistol marksmanship. 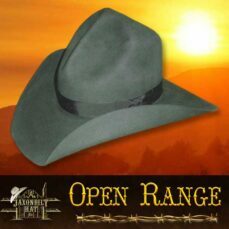 This little hat has a neat open 5” crown with a wide crown ribbon. 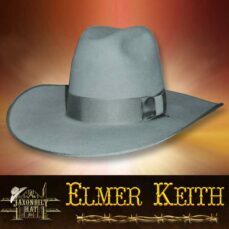 The Brim is a short, 3” with a pencil curl and a bound edge. 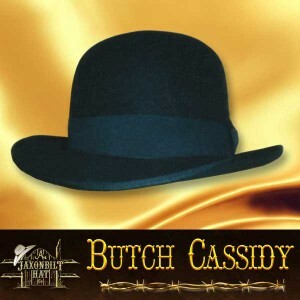 Besides being a great classic hat the “Butch Cassidy” is also great looking.